Located approximately ¼ mile from existing infrastructure and the McCartney Ranch Development. 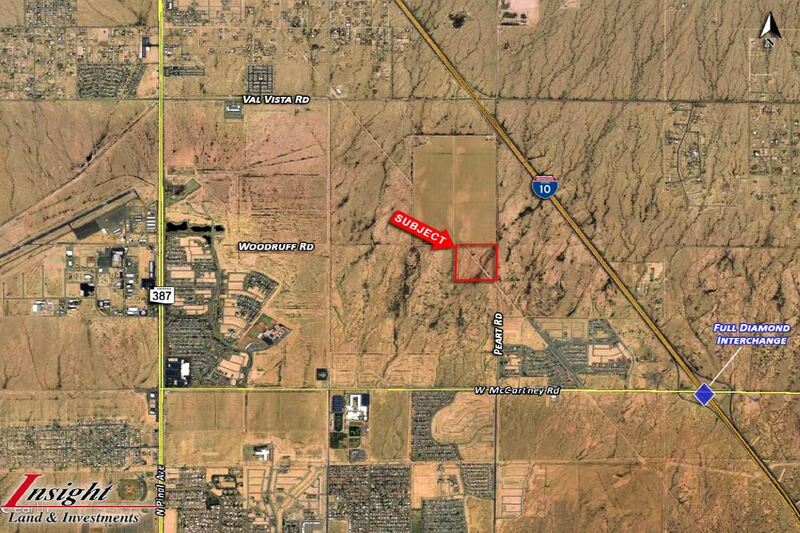 This site is in the path of growth within the Casa Grande core. Property has excellent access from Interstate 10 and McCartney Road.